There are 13 molehills on my back lawn at the moment. There are whole mountain ranges of them in the adjoining fields, but my lawn usually escapes the worst of the seasonal attacks due to the large amounts of rubble that went into its construction. Moles don't like rubble it would seem. But one of the blighters has now found a soft patch at the base of my sycamore and is having the time of his life. Actually, come to think of it, all the molehills I have ever had in my garden have been near the base of trees—I wonder if that's significant. Anyway, it turns out that moles aren't just garden menaces, they are agents of bioturbation—a cool word meaning that, like earthworms, they rework the soil, thereby moving and improving it. I learnt this new word yesterday from a story which came up in one of my automated Charles Darwin news feeds. The story mentioned a paper published by researchers at the Netherlands Institute of Ecology, entitled Bioturbation: a fresh look at Darwin's last idea (4.7 Mb PDF), which clearly I had to read. Darwin's wormstone in his own back garden in Kent is one of the world's oldest ongoing scientific experiments, measuring how bioturbation gradually causes objects on the surface to be buried. 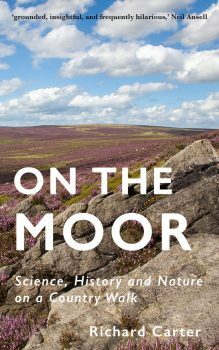 It's a fascinating read, explaining how Charles Darwin was the first person to realise the importance of bioturbation (although the word was yet to be coined), and how his final book on earthworm bioturbation continues to inspire studies in the fields of ecology, pedology, hydrology, geomorphology, and archaeology. Not bad for something that Darwin himself described, with typical modesty, as a 'curious little book of small importance'. The paper goes on to explain how the evolution of hard body parts in the pre-Cambrian is now thought to have given organisms the opportunity to begin burrowing for the first time, thereby changing ecosystems on a global scale, and probably becoming a major factor behind the Cambrian Explosion. Darwin appreciated better than anyone how the slow-but-sure actions of tiny creatures such as coral polyps and earthworms can have major repercussions on the geology and ecology of the planet. The suggestion that they could also be major influences in the history of evolution would have delighted him.